When it comes to finding a Bible, there are two types you can choose from: print and digital. Print Bibles are great when you’re doing in-depth Bible study and need quiet, uninterrupted time with God. On the other hand, digital Bibles are useful when you’re on the move and need a Bible that’s easy to carry. Both are wonderful ways to connect with God—but wouldn’t it be simpler if you could combine your print and digital Bibles into one? Now you can, with the world’s first print and digital combination Bible: the Filament Bible. Filament gives you options you’ve never had in a single Bible. 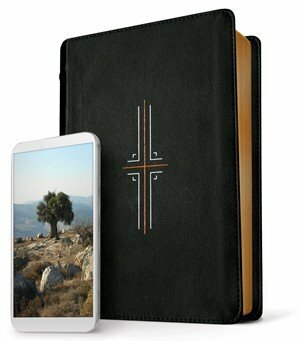 It’s a premium text Bible combined with the powerful capabilities of your mobile device. You get the best reading experience a print Bible can offer, as well as instant access to a rich set of digital content—study notes, devotions, videos, interactive visuals, and more. 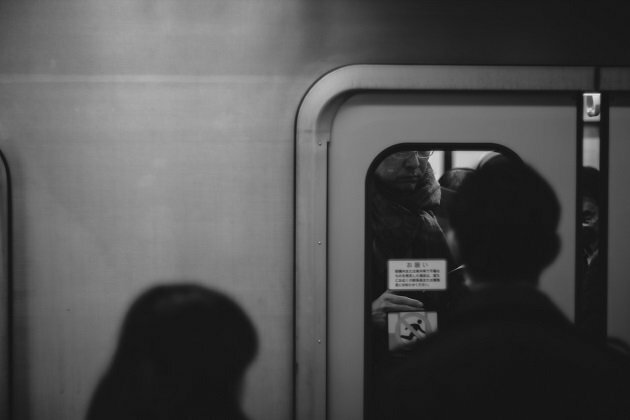 If you ride a train or bus to work, your commute is a great time to read God’s Word. But it can be challenging to find a Bible that’s a good fit for reading on the way to the office. A study Bible or devotional Bible provides great resources for digging deeper into God’s Word. But a large study Bible can be too heavy to carry back and forth from the office every day, not to mention that small study-note print can be hard to read on a bumpy train ride. And Bible apps are easy to carry, of course, but it can be distracting to read on your phone when notifications are coming in. With the new Filament Bible, you can have the best of all worlds. You get a simple, beautiful print Bible—plus exclusive access to the Filament app. You can easily access the app content by taking a picture of the Filament Bible page you’re reading. The app will automatically recognize the page and show numerous study notes, devotions, and interactive content related to that page of the Bible. It’s as simple as that! Whether you like to read the Bible during your morning commute or dive in on your evening ride home, the Filament Biblecan help you connect with God’s Word even more deeply than before. 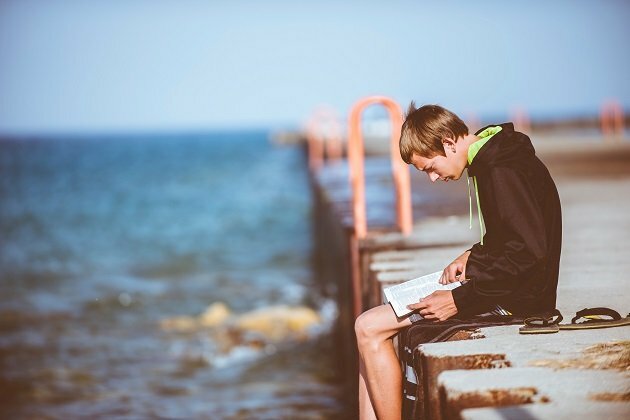 If you’ve ever traveled with a study Bible, you know the challenge of figuring out where to pack it. A large study Bible isn’t easy to fit in a carry-on, and it also takes up a lot of room in a suitcase. It’s easier to pack a simple text Bible, but then you miss all the study notes and devotions. Before the Filament Bible, you would have to choose between the two. But now you don’t have to. Filament gives you print and digital options you’ve never had in one Bible. If you want to read God’s Word without distraction, just open Filament and experience its simple design. Filament has a single-column layout, large text size, and generous margin space—ideal for a seamless reading experience on a plane, car, or train. If you want to dig deeper into the text, open the Filament app on your device to unlock thousands of pieces of curated biblical content. The app offers three ways to interact with God’s Word: Study, Reflect, and See. The Study section has everything you would hope to find in a study Bible: study notes, in-depth articles, and profiles of key people from the Bible. The Reflect section includes devotions gathered from some of Tyndale’s favorite resources. And the See section has all things visual. Here you’ll find videos, maps, and interactive visuals of historical biblical sites. 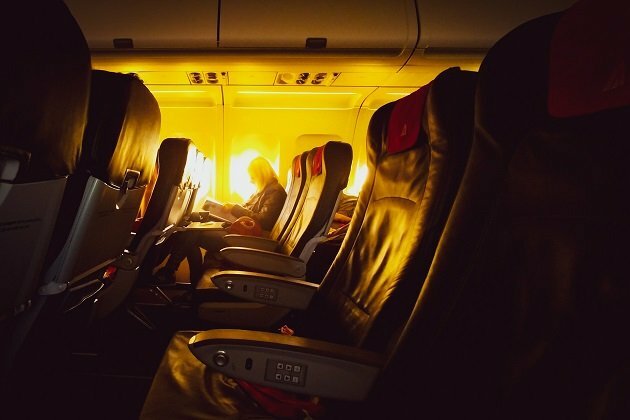 No matter how far you’re traveling, Filament is a great companion for your journey. If you take Filament along for your trip, you’ll get a seamless print and digital Bible reading experience like you’ve never had before. Reading God’s Word as a family is a precious opportunity to grow closer in Christ. And when you’re reading the Bible with kids, it’s important to use a Bible they can read with ease. Growing readers will love the Filament Bible’s simple layout. Its large type and wide margins give them plenty of space to read without distraction. The Bible design has no study notes, so it will help kids stay focused when they practice reading aloud. When you want to dive deeper and read the section’s study notes, just open the Filament app and scan the page you’re reading. The app will instantly show relevant study notes, articles, and people profiles. On the app you’ll also find devotions, interactive visuals, and videos from The Bible Project, a nonprofit animation studio whose mission is to make the biblical story accessible to everyone, everywhere. These animated videos are kid friendly and a great tool for teaching children about the Bible. Filament is great for reading with kids—but it’s also a premium Bible. Its beautiful, streamlined cover and high-quality design make it a great family keepsake you’ll read for years to come. Whether your kids are age 7 or 17, they’ll find something in the Filament Bible that will help them grow in God’s Word. Have questions about Filament? Check out the Filament Bible FAQ.